From specter delights to happily hauntings ever after, we love a Halloween wedding! Most couples having a spooky chic celebration typically look to having a non-traditional soirée, and that opens the graveyard gates into an endless realm of wedding possibilities. Since Halloween themes can sometimes get sandwiched between purple and orange explosion or a gory melting pot, we wanted to elevate the eerie theme into evening wedding elegance befitting of only the most sophisticated ghouls and goblins. Curated from Etsy, we unearthed the most bewitching finds for any couple who watches Nightmare Before Christmas in March, embroiders skulls on pillows, and anxiously awaits for the fall season the moment winter begins. Elegant with a hint of gothic, this ebony-hued cathedral length veil trimmed with delicate chantilly lace is as dramatic as it gets and would be a showstopper for an evening wedding ceremony. 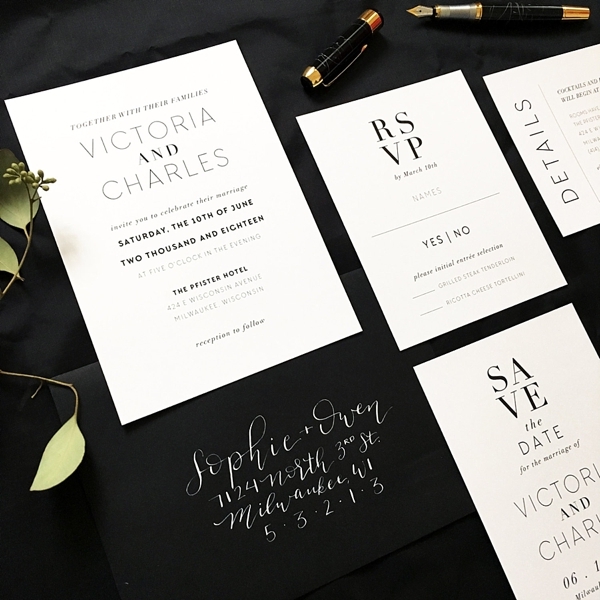 We love the versatility of these modern black and white typography invitations! Pair your envelope liner with a dark marble or even silvery filigree that mimics spider webs. Keeping your stationery simple allows you to bring more subtle Halloween chic details everywhere else. Till death do us part! These shotglass-sized skulls are the perfect toasting glasses for the couple. 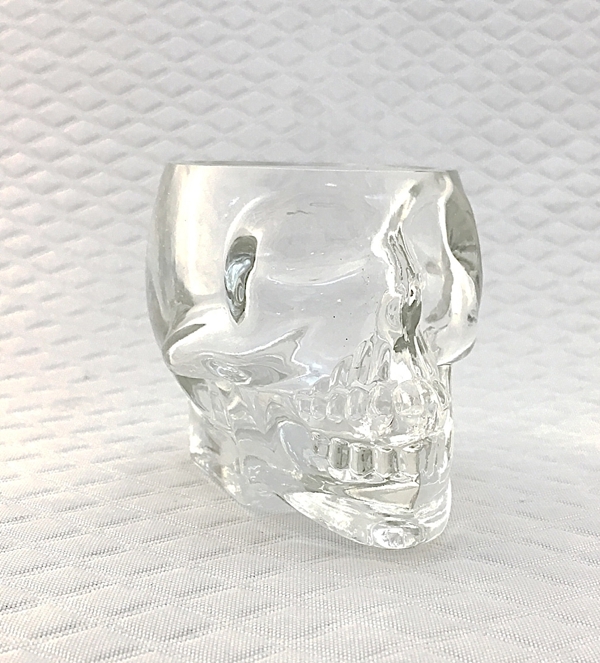 Why stick with champagne when you can have a Smoking Skulls Cocktail Shot to celebrate your recent nuptials? 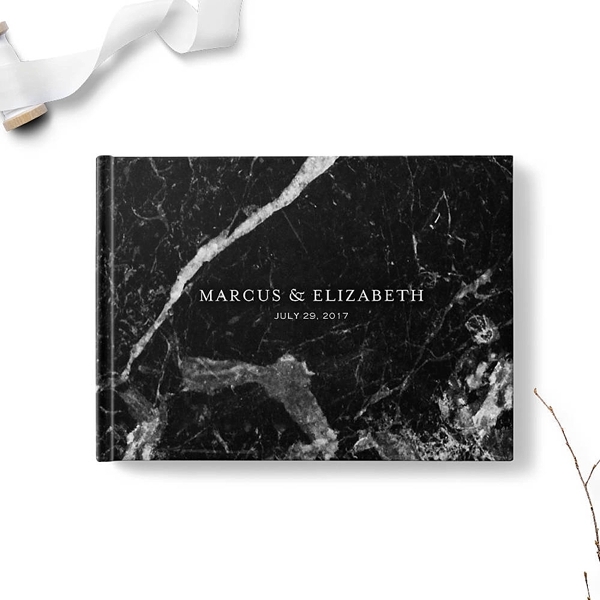 It's no secret we're fans of marble around here, but we love this darker spin on this modern wedding guestbook since it reminds us a bit of a tombstone without being "Let's go to the cemetery right now!" If you're having a Halloween-inspired wedding, it's likely you dance to the beat of your own voodoo drum, so why would you have an every day flower girl dress? This adorable tuxedo shorts and white blouse set is just too cute with a hint of black tie horror movie, and we love it. You had to know we were going to go skeleton in some way! 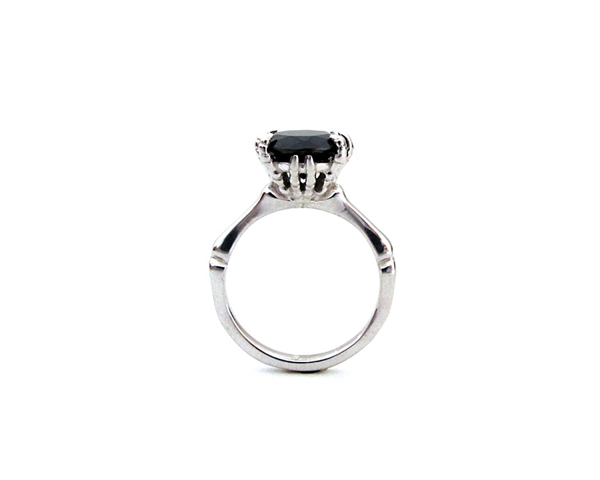 This oh so chic bony hand holds a beautiful onyx and is the perfect way to ask for your spooky bride's own hand in marriage. Need to assemble your VIP monsters for your wedding party? 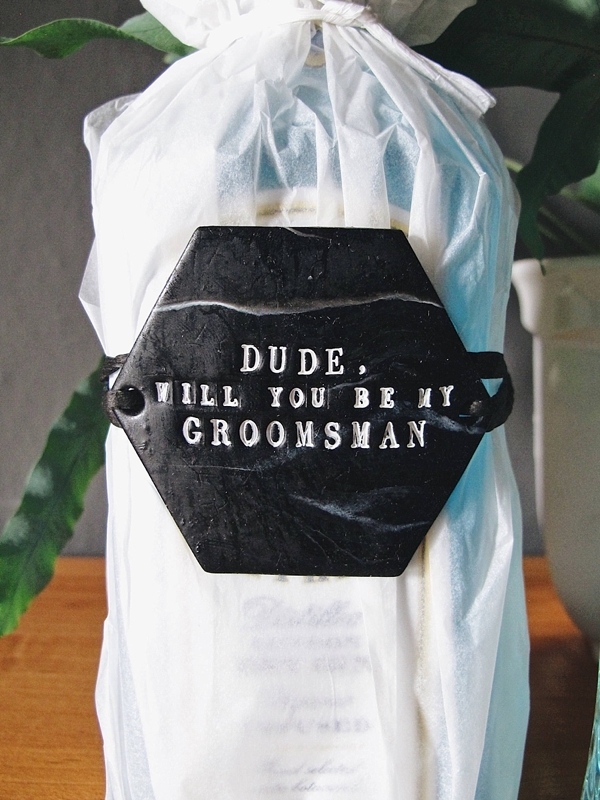 These cool black and white handmade marble gift tags can be wrapped around your choice of beverage bottle as you pop the question to them in thematic style. Envision a bride in black and all the wedding party in white. 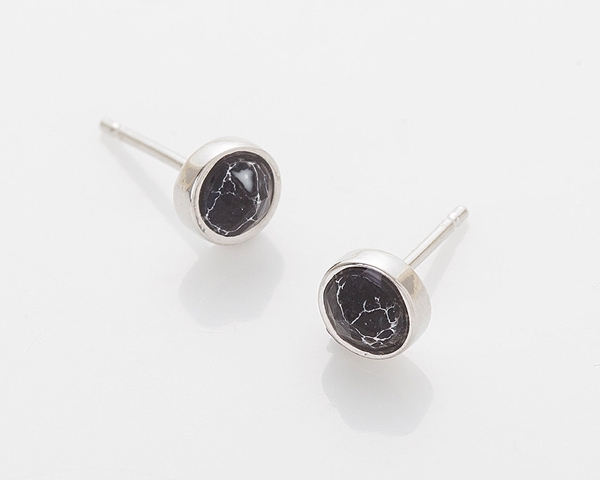 Not only are we totally digging the uniqueness of it, these black marble earrings will pair perfectly with the ladies in ghost white. 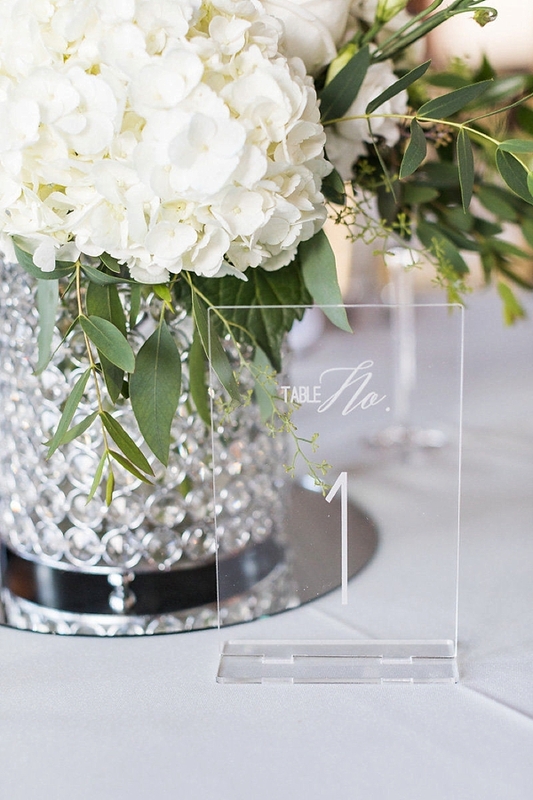 Clear acrylic is practically a must for any spooky chic celebration! Reminiscent of paranormal specters and illusions, these beautiful table numbers will blend right into your wedding reception tablescapes and say boo to your guests looking for their tables.